Social media is an integral part of the way that Family Business United ('FBU') operates and is at the heart of our communications strategy. Social media is here to stay and as an organisation FBU continues to push the social media boundaries, primarily through twittter, facebook, linkedin and pinterest but more and more platforms are being introduced all the time and we will continue to embrace those that meet the needs to best communicate with the family business community. Furthermore, family businesses that are active on social media might be interested in joining our Family Business Social Media Power List. Based on social media activity and the independently verified 'klout' score, family businesses that are added to the list are listed in order of influence and we publish the updated Power 100 weekly. 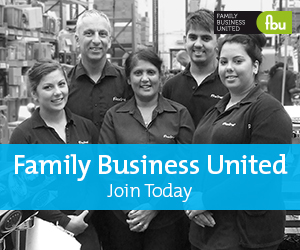 Results are available on www.familybusinessunited.com and are updated regularly so to see where you rank globally, why not join the board today? Professional advisers do not need to feel left out either as we have an Influencers Power 100 where those involved in the broader family business community are ranked according to their social media engagement. If this is of interest, you can request to join the board here Again, this list is updated weekly and there is a lot of social media engagement through the campaign too. The world of publishing and sharing information continues to change and we will continue to change too. Articles are published online and shared in our ebulletins but we also endeavour to share as many as we can on the relevant platforms to engage with our audience on their platform of choice. More and more video content is being shared too and we will continue to use social media to share video intervews at events and to engage on twitter chats on specific topics too. We love social media and look forward to engaging with you on social media in due course too!